Ninder is the owner of the Nachural Group of companies which include a recording company and an events company which established the Signature Awards and the Nachural Entrepreneurship Awards. 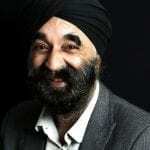 A serial entrepreneur, Ninder has been very active in the Black Country and was President of the Black Country Chamber of Commerce, and has been involved in many development and strategic boards across the Black Country. Ninder sits on the board of the West Midlands Growth Company, he is Chairman of the Board of Trustees at Steps to Work and Trustee at the Albion Foundation. Passionate about education Ninder is a Governor at the University of Wolverhampton and Vice-Chair of Sandwell Further Education College.